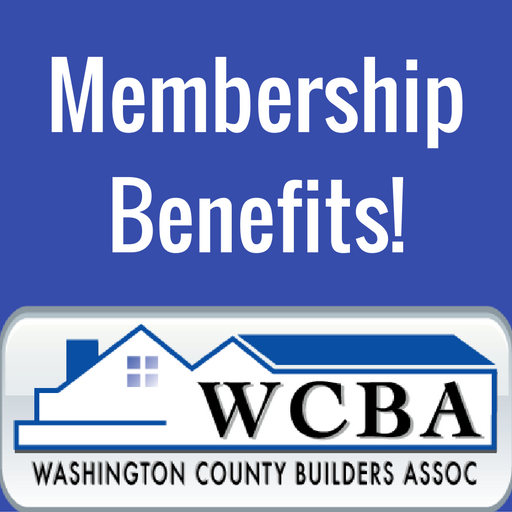 Why Be a WCBA Member? With the right tools, you can build a strong, successful company. That’s why membership in the Washington County Builders Association (WCBA) serving Washington and Surrounding counties offers you so many resources and opportunities for building your business. We have been representing the interests of home builders and their associates, as well as helping our members promote their businesses. Today, we provide more benefits than ever as well as a widely recognized reputation that your customers have come to trust. It is easy to see why so many companies have joined the WCBA serving Washington and surrounding counties. We invite you to become a member and to take advantage of all that we have to offer.